Visiting: Panama City, Panama Canal Boat Transit, Old Town, Panama Canal Visitor Center, Bocas del Toro Island (Isla Colón). Arrive at Tocumen International Airport. You will be picked up and driven to your hotel in the capital city of Panama. Rooms: Deluxe Double. Breakfast included. Day 2. Panama City Tour + Canal Museum and Canal Visitor Center. After Breakfast your guide will meet you at the lobby to take you to discover the most modern city in Latin America. This four-hour tour will allow you to learn a little about Panama City. Discover the Old Panama (Panama Viejo and Casco Antiguo), and know the main attraction of the city and one of the wonders of the world The Panama Canal. On this tour you will see the 2 sides of Panama, where you will visit the modern side of Panama, the sophisticated city center, the historic side of town where you will visit the city’s Old Town, historic heritage of humanity. Here you can feel the Panama’s colonial past and its importance, and appreciate the different architectural styles of Europe in the New World. Then visit the Miraflores Lock Visitor Center, where you can see up close the full operation of the Panama Canal. Finishing with a scenic visit of Amador Causeway at the southern entrance of the Canal, a path that connects the mainland of Panama City with the islands Naos, Perico and Flamenco. This road was built with material and rock of the Culebra Cut, when building the Panama Canal. This tour includes guide, transportation, and entrance to the Canal. Partial Transit. Duration: 5-6 hours approx. Full Transit. Duration: 11 hrs approx. Partial Transit Includes: guide, buffet lunch, water and soft drinks (all you can drink). Full Transit Tour Includes: guide, light breakfast, buffet lunch, water and soft drinks (all you can drink). We enter the canal at the north end of the Gailard cut, where the Chagres River flows into the canal. The Gaillard Cut (also known as Culebra Cut because its curves resemble a snake) is one of the main points of interest for visitors because it was carved through the Continental Divide and this section of the Canal is full of history and geological value. The Vessel will travel the Cut’s 13.7 kilometers on the way to Pedro Miguel Locks. As you transit the Cut you will be able to appreciate the continuous maintenance that this area requires, because it is very susceptible to landslides. In this area you will also be able to observe the work in process for the Panama Canal expansion project. Before reaching the Pedro Miguel Locks at the southern end of the Cut, you will be able to view the new Centennial Bridge which crosses over the Canal. Next, the Pacific Queen will enter Pedro Miguel Locks, which is one of the two sets of locks on the Pacific side, and here the vessel is lowered 9 meters in one step. You will then enter Miraflores Lake, which is a small artificial body of fresh water that separates Pedro Miguel from Miraflores Locks, the latter being the final set of locks before reaching the Pacific Ocean. At Miraflores Locks the vessel is lowered 18 meters in two distinct steps. Details. Full Transit Tour. Ocean to Ocean. Our trip departs from the Amador Causeway at 7:00 a.m., and you will travel from the Pacific Ocean to the Atlantic Ocean on the same day. Once in the cruise, you will be able to admire the Bay of Panama and Panama City’s splendorous skyline before passing under the Bridge of the Americas. Day 4. Bocas Del Toro – Isla Colón (Colon Island). Northern Caribbean. Day 5. Bocas Del Toro – Colon Island. Northern Caribbean. Tour: 4 in 1. Dolphins Bay, Crawl Key, Red Frog Beach, Snorkeling. Pick Up Time: 9:30am. Approx. Activities: Snorkeling, Boat Ride, Enjoy the nature and beach. The first stop on the tour is Dolphin Bay, with Isla Cristobal and the mountains of the Continental divide as a stunning backdrop. Watch bottlenose dolphin frolic in their natural habitat. After watching these magnificent creatures we depart to Crawl Cay for our first snorkeling experience. Explore a beautiful coral reef and see a variety of colorful tropical fish, sponges, crabs, lobsters and shrimp. After snorkeling we stop at one of the three landmark restaurants in Crawl Cay for a quick lunch (not included) After lunch we head to Bastimentos Island and Red Frog Beach, one of the most scenic beaches in the archipelago. After an easy ten minute walk along a manicured path through the rainforest (where it is not unusual to see monkeys, sloths, and the famous red frogs), you come upon a beautiful beach with white sand. Enjoy frolicking in the waves or just stretch out and soak up the sun, the choice is yours. To Bring: water, bathing suit, towel, hat, sunscreen. 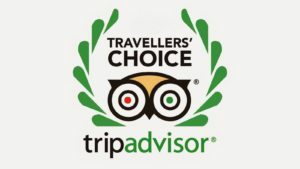 Includes: Entrance fees, lunch (with choice of seafood and a natural drink). Day 6. Bocas Del Toro – Colon Island. Northern Caribbean. Tour: The Combo Tour: Boca Del Drago, Star Beach and Bird Island. Activities: Boat Ride, Enjoy the nature and beach. Includes: Lunch (with choice of seafood and a natural drink). Transfer to Bocas airport; flight to Panama City. Afternoon flight. Room: Deluxe Double. Breakfast included. Destination: Tocumen International airport. PTY. Rates with Partial Transit Tour: $1920 USD per person, based on 2 persons. Double occupancy. Rates with Full Transit Tour: $1990 USD per person, based on 2 persons. Double occupancy. 4 nights / Panama City. Breakfast. 3 nights / Bocas del Toro. Breakfast. 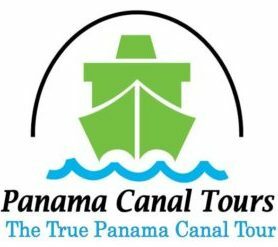 Panama Canal Partial Transit Tour or Full Transit Tour. Lunch. Bocas del Toro Tour 3 in 1. Lunch. Bocas del Toro Combo Tour. Lunch. Round trip transfer to the pier for your boat tour on the Canal.